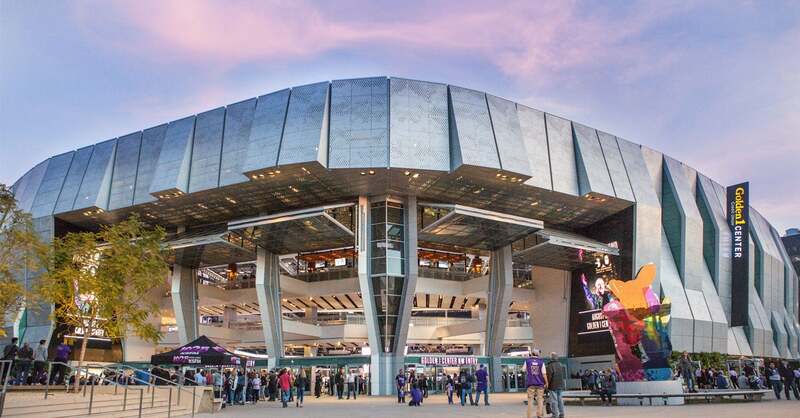 Sacramento, Calif. — Golden 1 Center, the world’s most technologically advanced and sustainable arena, continues to receive high praise from the global design community. Recently, the world-class entertainment and sports venue designed by AECOM was selected to receive the prestigious 2017 American Architecture Award for the best new buildings designed and constructed by American architects. In its 23rd year, The American Architecture Awards were announced by The Chicago Athenaeum: Museum of Architecture and Design and The European Centre for Architecture Art Design and Urban Studies—organizers of this annual program for design excellence and for the best and finest contributions to innovative contemporary architecture. The American Architecture Awards are the nation’s highest public awards given by a non-commercial, non-trade affiliated, public arts, culture and educational institution. Global design and infrastructure leader AECOM served as the lead architect and designer of Golden 1 Center. The integrated design—bringing together urbanism, architecture, sports and sustainability—has redefined the standard for an urban sports venue. The first LEED Platinum arena in the world, the building reflects the values of the community it serves and has triggered a resurgence in downtown Sacramento.